24 000 riders tackled a hot 95km route at this year's Telkom 947 Cycle Challenge. 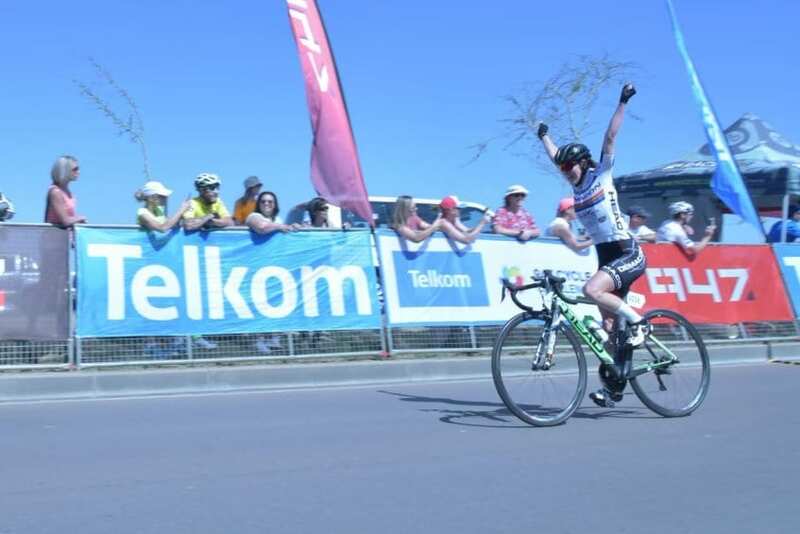 24 000 riders tackled a hot 95km route at this year’s Telkom 947 Cycle Challenge, which had been ‘flipped’ for the first time, taking bikes on the usual route, but in the opposite direction. While sunscreen and cooling gear were mandatory, that didn’t stop many riders from dressing up in colourful kit and costumes to showcase the causes that they were riding for. With 130 charities registered for this year’s event, the call to ‘Ride for a Purpose’ has grown into a significant part of this annual ride, with R15 million being raised for charity in last year’s race alone. This was the 22nd edition of the event, and the change gave loyal Cycle Challenge participants a fresh perspective. The elite racers found the flipped route to be tough. Women’s winner, Calrla Oberholzer liked it because “it was a blank canvas for all of us. There were short, punchy climbs, interesting corners and turns, and something for everyone.” Anriette Schoeman, who finished second and won the Cycle Challenge 10 years ago, said the route was hard, but interesting. The women’s race ended in a sprint finish with Jo Van De Winkel placing third and Theresa Ralph placing fourth. In the men’s race, Team BCX shone, finishing 1st, 2nd and 4th. Brandon Downes won, with teammate Steven van Heerden in second place, followed by Dylan Girdlestone from team Office Guru in third and BCX’s Nolan Hoffman taking fourth. While the winners were finished early in the morning, many riders, including thousands of novices, faced a long hot day in the saddle, which was made infinitely more bearable by the support of Joburgers who came out in numbers to line the streets and cheer the cyclists on.